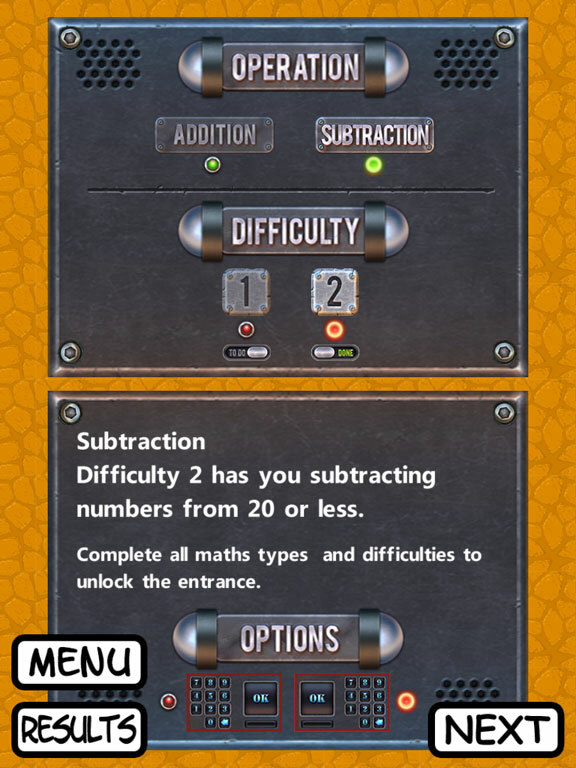 Vault Assault is intended for students in Years 1-3 of primary school to practise addition and subtraction. 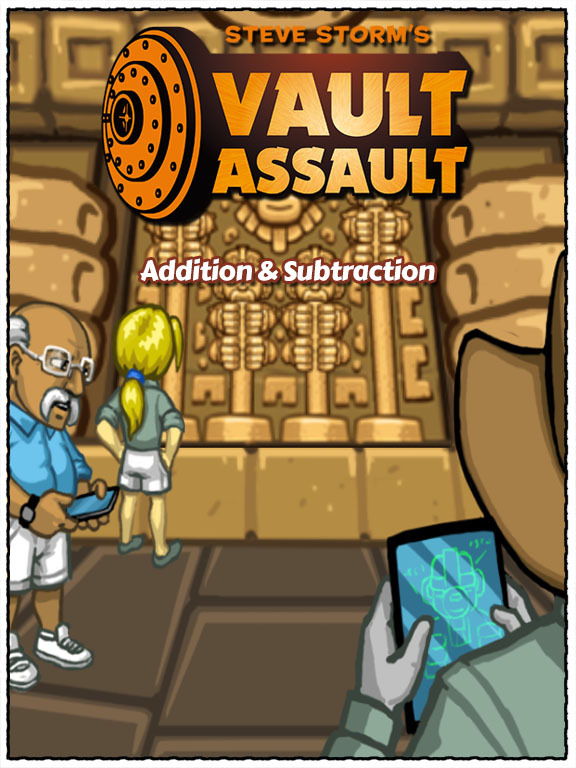 For students in Years 3-5, we recommend Vault Assault Expert which also incorporates multiplication. Steve Storm has uncovered an ancient vault. Use your keen intellect and razor sharp maths skills to solve the vault's challenges. You must be fast and accurate in order to unlock the vault. 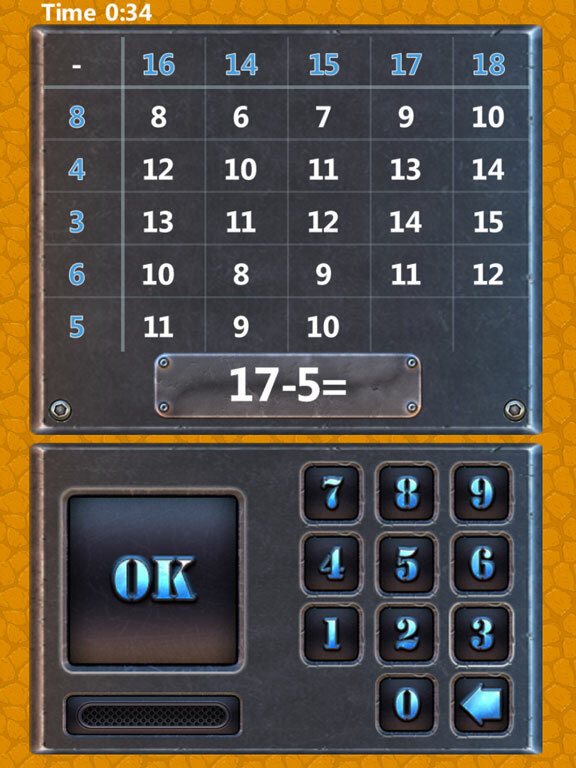 The Vault Assault application is a great way to have your children practise and improve their basic addition and subtraction skills. The key to mastering basic maths facts is to practise, practise, practise. 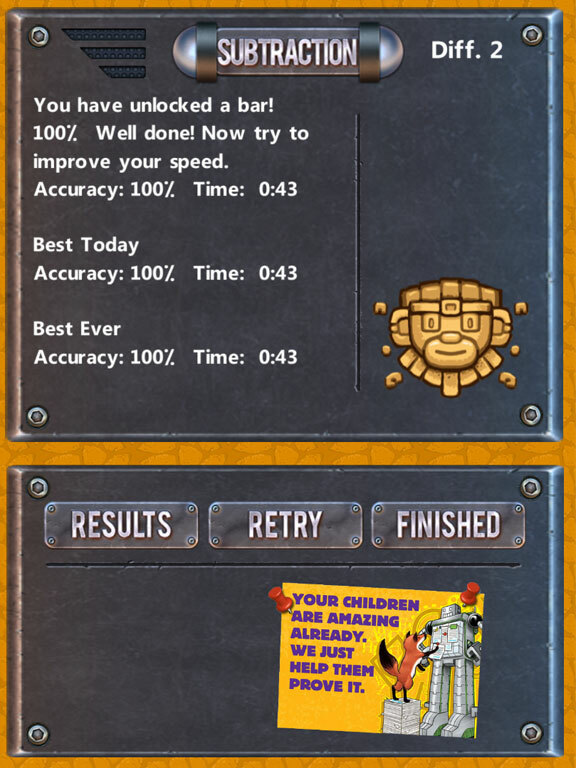 The Fast Facts Maths Grid is a proven and effective practice tool that your child will quickly master and be motivated to improve their score and best times. For parents and teachers the app provides an instant overview function so you can see how your child is performing. The app's difficulty levels were developed by our in-house mathematics experts and is designed to offer a good challenge for learning basic facts. When a student has mastered the Vault Assault they can extend their understanding in Vault Assault Expert, a separate application. This app was developed by the maths and English tuition experts at NumberWorks'nWords, and it is based on the company's 30 years of success in transforming children's relationship with learning. Vault Assault is intended for students in Year 1-3 of primary school. Students can work on their speed and accuracy for addition and subtraction equations.